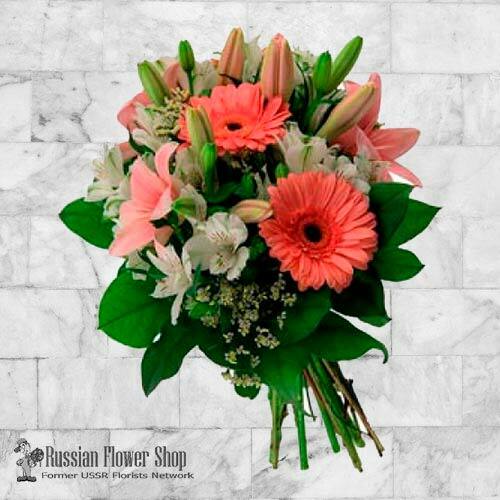 Bouquet include fragrant lilies, gerbera daisies and alstroemerias. Pretty bouquet in white and pink tones is a wonderful way to send your best wishes for a very happy day. Fresh flowers include fragrant lilies, gerbera daisies and alstroemerias.